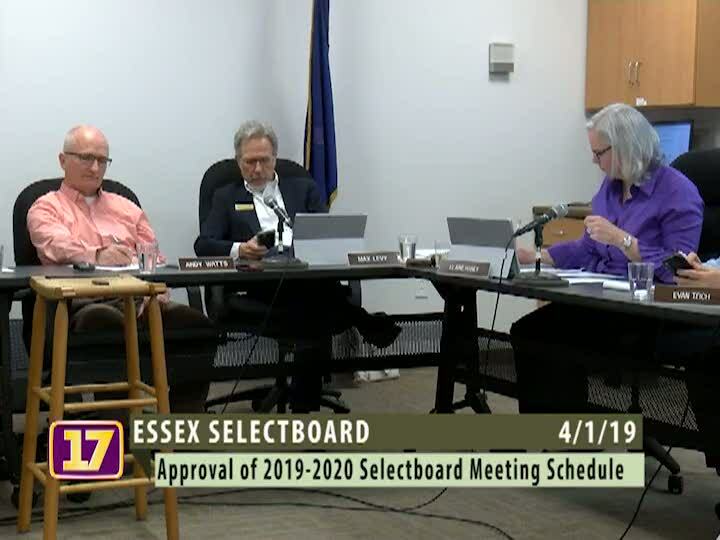 The Town of Essex Selectboard meetings are all held at the Town Offices at 81 Main Street in Essex Junction, in the downstairs conference room on the first and third Mondays of the month. The public is always welcome, and the meetings start promptly at 7:00 PM. If special accommodations are needed please call (802) 878-1341.